It’s Project 10 time again – that time when I’m supposed to post 10 pictures from a fairly average day, just to capture what life’s about in our family… and one of the things that life is about in my family is travel… so often my Project 10’s are of when we travel – and often I totally break the rules on the 10 photos thing… but I figure it’s about being real, and in the interests of that here I present to you a day in Muscat, Oman over the Eid holiday where I forced my poor vegetarian children to visit a fish market very much against their will, then didn’t allow them to buy any of the sparkly trinkets they admired at the souq, but made up for that with some chill time, jumping on the bed time, and finally some gorgeous sunset beach time! 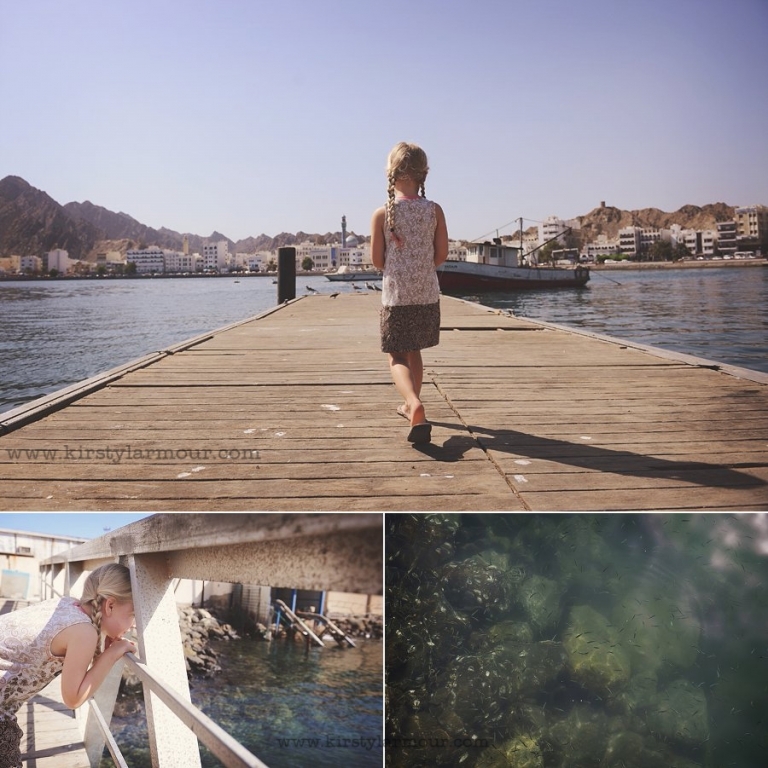 We started out at Muscat Harbour and then headed to the fish market…. I really think there’s something so compelling about photographing fish – the textures and colours are always so amazing – they always draw me in for more – I started out in travel photography and I love these kind of detail shots. Her expression here says it all – she was totally grossed out and horrified by the man trying to hand her a fish, to actually touch!!! But I loved where it led our discussions on how not all experiences are fun, but we can take something good away from them all as we learn to differentiate between what we do and don’t enjoy – I’m not sure at age 5 she was convinced by my arguments though!!! 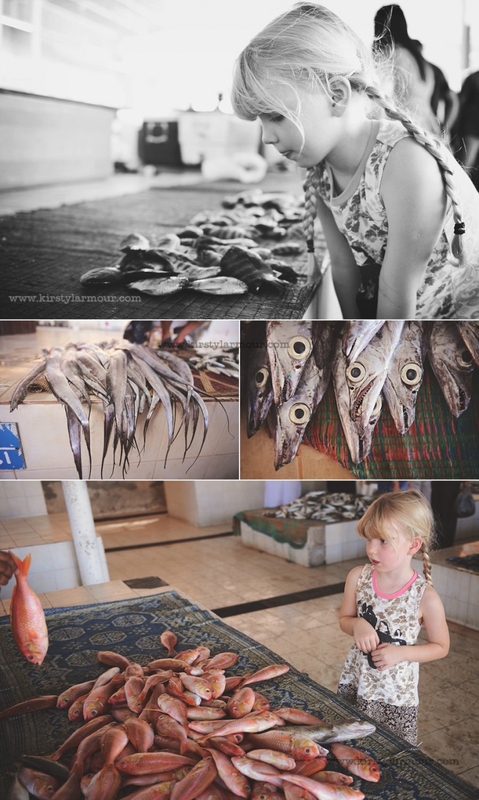 Note that Saffy’s not in any of these pictures – she really did not want to partake in the whole experience!!! The next picture is the “Come on Mummy, it MUST be time to go by now” face!! 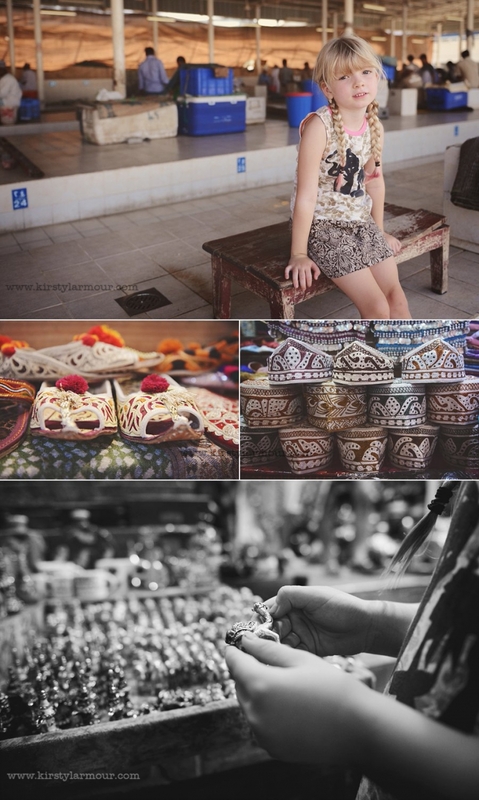 Debbie Wibowo - I love following your family journey through your images. 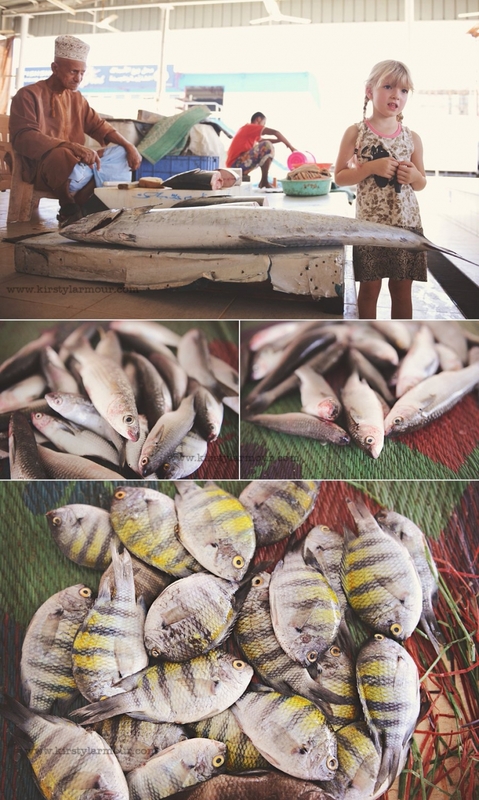 What a nice day to spend exploring the market and the beach. And your images and pov are always lovely, as usual.